Manufacturers explain why nongas handheld equipment is nearer than ever to the performance of gas-powered competitors. 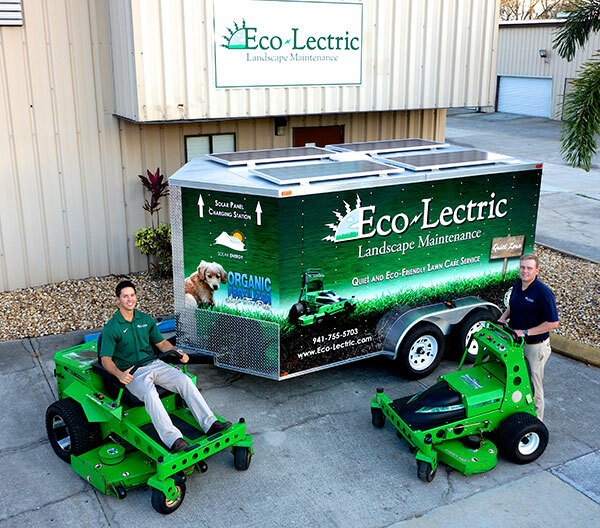 Josh Flowers’ first few years of heading up Eco-Lectric Landscape Maintenance, located in Bradenton, Fla., were less than ideal. He was using consumer-quality handheld products to serve a 90 percent residential client base. “It was horrible,” he recalls. The power and necessary runtime just weren’t there. But to stay true to Eco-Lectric’s sustainable name and vision, Flowers had no other choice than to wait for the commercial-grade nongas handhelds market to grow. “It quickly picked up,” he says, thankfully. Almost unanimously, manufacturers concur it was in 2011 when they truly targeted the commercial market with nongas handhelds. And with the demand for such products higher than ever, due in part to noise and emission ordinances, there are more options available in this segment. “It’s a good thing because we will see performance and runtime continue to improve,” Josh Huffman says. To that end, landscape professionals—including Flowers—finally are seeing the performance level of nongas handhelds as “acceptable” alternatives to their gas-powered counterparts, says Huffman, director of global product marketing for Oregon. “The performance gap between gas and battery is as small as it’s ever been, which means more and more professionals are making the switch,” he says. In terms of closing that gap, manufacturers chiefly are narrowing in on battery technology. A reason for that trend is lithium-ion batteries perform at full power until they stop, not sacrificing performance as the charge runs out. Plus, runtimes for nongas handhelds are only as long as an operator has his finger on the trigger versus, with gas, it being on all the time after the operator pulls the cord. 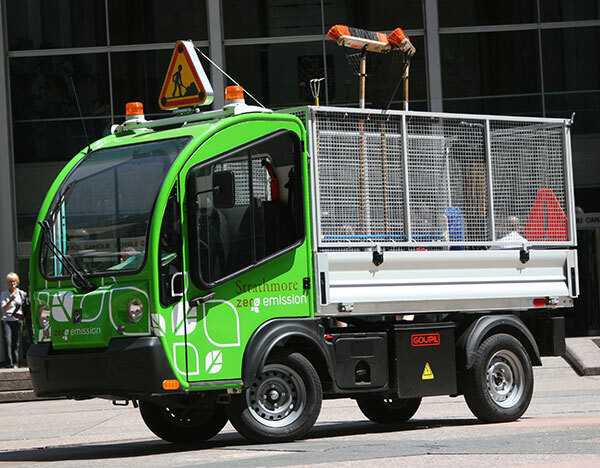 The two zero-emission teams at Strathmore Landscape, a full-service, commercial landscape company in Montreal, have experienced this firsthand, Vice President Jessica Milligan says. The two-person maintenance crews drive electric trucks equipped with Stihl nongas handhelds, including a hedge trimmer, chain saw, blower and string trimmer (see Web Extra). The products are limited for use only on properties that are less than 20,000 square feet, as their batteries run for roughly 60 to 90 minutes, Milligan says. Typically, the zero-emission teams take two to three extra batteries with them for an eight-hour day. One benefit of sticking to a single brand of nongas handhelds, Flowers says, is that batteries and chargers are fairly interchangeable. Though, Flowers doesn’t fully reap that perk because he owns multiple brands—Core string trimmers, an Echo blower, Ryobi edgers and Stihl hedge trimmers. He goes through roughly three to four batteries per day per piece of equipment, with those taking around 20 minutes each to reach a full charge. Since purchasing its nongas handheld inventory three years ago, Strathmore Landscape has yet to replace any of the batteries. And while the initial investment was higher than gas-powered equipment, due to battery and charger costs, Milligan says the company saw a return in fuel savings after using the tools for about 14 to 15 months. For some perspective on battery life spans, Oregon and GreenWorks market their batteries as lasting up to 1,000 charges. Stihl says 20 percent of a battery’s capacity is lost after 500 charges. Among the newer players in the nongas handheld market, Mean Green is evolving from electric mowers to debut its first line of nongas handhelds this year. It will include trimmers, a pruning chain saw and a blower. All the units can be powered by a backpack battery—a growing necessity for nongas handhelds, Conrad says. This especially is the case for blowers and other handhelds that are more “power hungry,” Huffman says. While many handheld manufacturers are homing in on lithium ion as a reliable battery technology, Core Outdoor Power combines it with its motor technology that replaces wiring with a new approach that’s much like printed circuit board technology. Core has in the past implemented the technology on trimmers, Jore says. But due in part to MTD Products acquiring Core in January, the manufacturer is in developmental stages on “a full suite of handheld equipment,” including blowers and chain saws. Much like Mean Green, GreenWorks also is focusing on the commercial market in 2015. It’s releasing its 80-volt nongas handheld line—one of the highest voltage offerings in the industry. Until now the manufacturer offered only a 40-volt product, mainly for homeowner use with up to an acre lot size. GreenWorks is pushing the limit on nongas handheld specifications, offering an 18-inch chain on its 80-volt chain saw—“the largest bar and chain on a battery-powered tool,” Brady says. 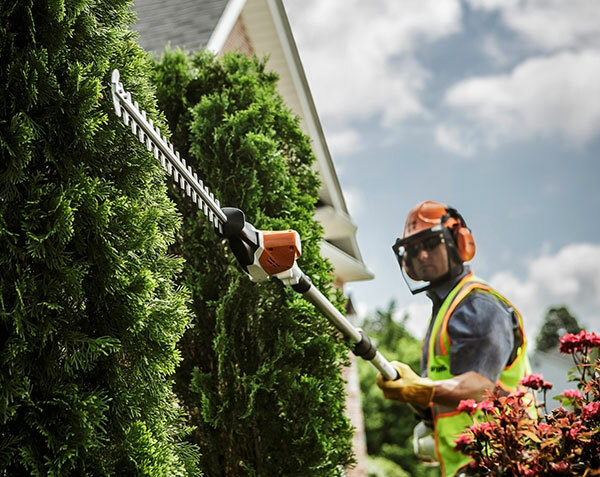 Likewise, Stihl and Oregon are redefining standard product specs. Stihl recently debuted “the world’s first lithium ion cut-off machine,” its TSA 230 saw for a variety of application. Oregon released its new BL300 blower, which has a “turbo” setting that reaches 130 mph and more than 500 cubic feet per minute. In addition, Oregon continues to refine the self-sharpening Power Sharp feature on its nongas chain saw to push its philosophy that a well-kept machine can directly correlate to runtime. Correction: The print version of this story incorrectly reported Oregon released its new DL 30 blower. In fact, it released its new BL300 blower. This online version of the article reflects the correction, and the editors regret the error.